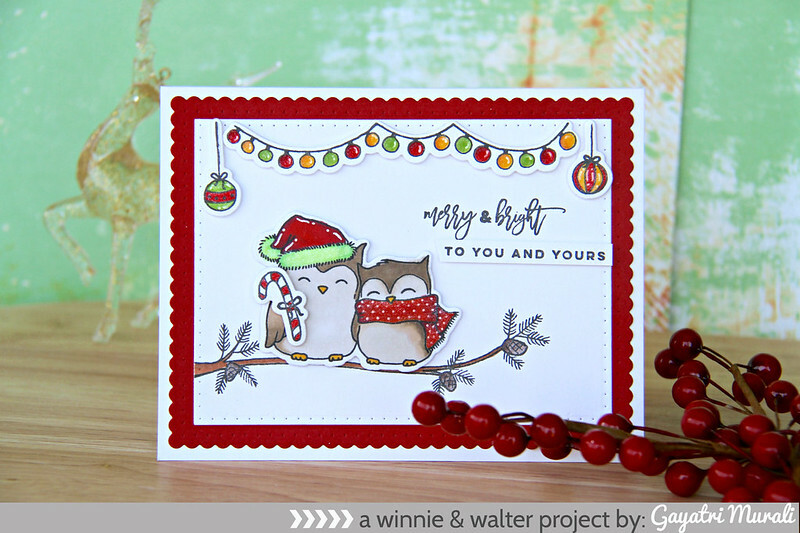 My third project using Winnie & Walter’s November new release. 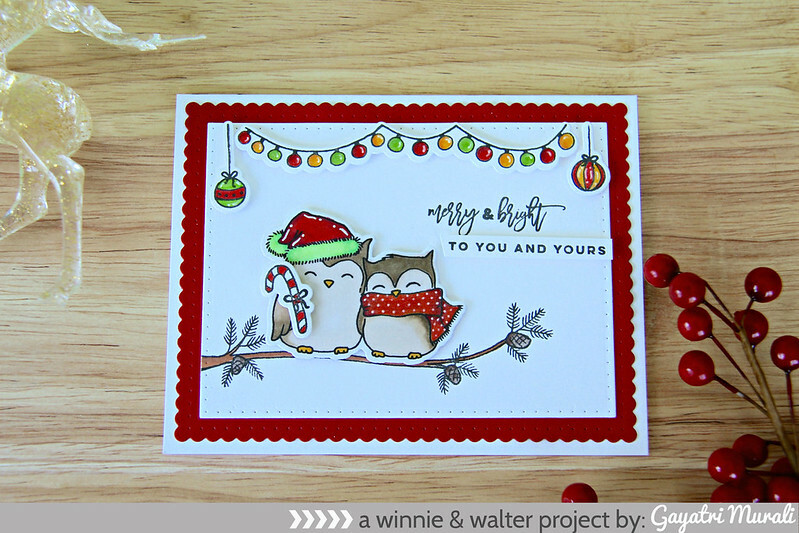 Today I am showcasing Happy Owlidays with Evelin T Designs and coordinating cutaways. Another adorable stamp set. I love the little elements in the stamp set like the ornaments that add more details to the card. I stamped and coloured the images from the stamp set. Then die cut using coordinating cutaway. I die cut two panels. One smaller panel using the smaller rectangle cutaway from Essentials: Katherine Cutaway and white card stock. The larger panel using the largest scalloped cutaway using Essentials: Audrey Cutaway. I stamped the branch image on the white panel and coloured with copic markers. Then mounted the owls on the branch using foam adhesives, the banner and ornaments on top of the panel. I stamped the sentiment from Sentimental: Winter stamp set on the panel and the smaller sentiment on a strip of white cardstock. I added details to the owls and banner using white gel pen. Then adhered the white panel on the red scalloped panel using foam adhesive and then flush glued on the white card base. 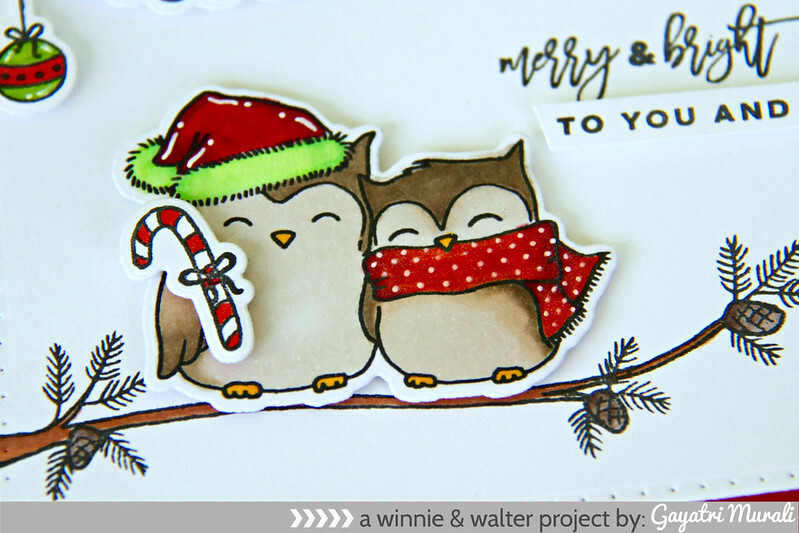 Absolutely love the cuteness overload of the owls and ornament details. These sets are available for purchase from Winnie & Walter store. Hope you are inspired and thanks for stopping by once again.